The en bloc market in Singapore just got even hotter with another 2 freehold projects in the East Coast and River Valley precincts entering the scene this week. Earlier on this month, the likes of ex-HUDC Florence Regency and Normanton Park have already been launched for collective sale. One of the 2 freehold private residential condos is Amber Park (along Amber Road). It was launched for sale by tender with an asking price of no less than $768 million (or $1,284 per square foot per plot ratio (psf ppr)). It was noted that development charges will not be payable for the redevelopment Amber Park. The 200-unit freehold condo in District 15, East Coast – with two 27-storey residential towers have obtained more than 80% consent from the owners, based on the minimum sale price stated. According to the URA Master Plan 2014, the residential site at Amber Road, spanning across 213,670 square feet (sq ft) has a gross plot ratio of 2.8. 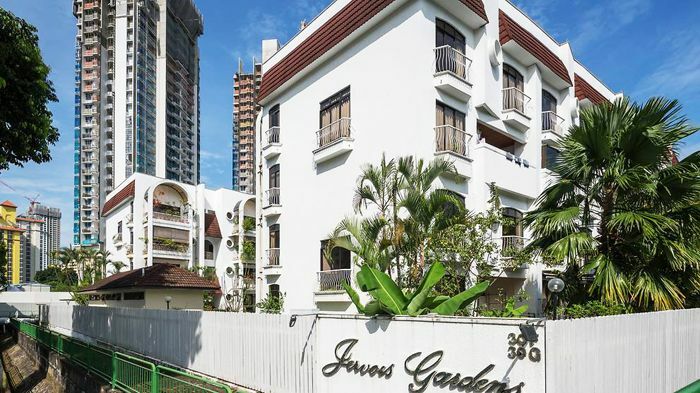 Another subject property jumping into the en bloc fray is Jervois Gardens, a much smaller freehold condo as compared to Amber Park with only 17 units in total. It comprises of two 4-storey walk-up residential blocks with 3 apartments and 14 maisonettes in total – spanning across a land area of only 34,038 sq ft. Located along Jervois Road, which is just off River Valley Road, Jervois Gardens will be put up for sale with an asking price of around $68 million (or $1,297 psf ppr). According to the marketing agency, each owner will stand to receive a payout from as low as $3 million to more than $4 million through this collective sale. With recent new launch projects being introduced in Singapore’s property market, there hasn’t been much new freehold projects in both Jervois and East Coast except for 38 Jervois (still under construction) and The Meyerise (completed back in 2014). With Amber Park and Jervois Gardens being put up for collective sale, the total tally of residential estates going or has gone through en bloc equates to 15, and 7 of them were successful. Amongst the list of estates, Tampines Court’s en bloc was probably the most eye-catching of all since 2007, as it drew a staggering sale price of $970 million. Market watchers have attributed the spike in collective sales to the cutback and lack of government land being made available for sale, resulting in the situation of having more developers in the market than the number of land parcels. And by looking at the recent en blocs and results from land tenders, it is a clear sign that property developers are “hungry”.